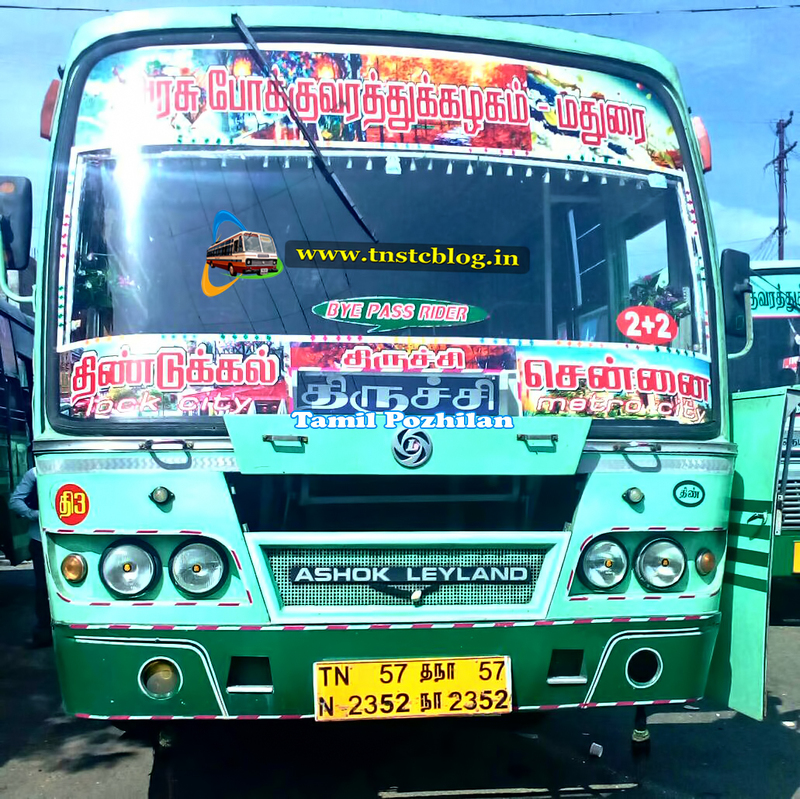 After implementation of 300 + KM rule by TN Government SETC took all Chennai bound buses from all headquarters which are 300 + KM away from Chennai and TNSTC Dindigul handed over all its Chennai bound service from Dindigul District. To bring efficiency in service SETC opened a depot in Dindigul too and add 1 to 1 Nonstop services in Dindigul Chennai route also. 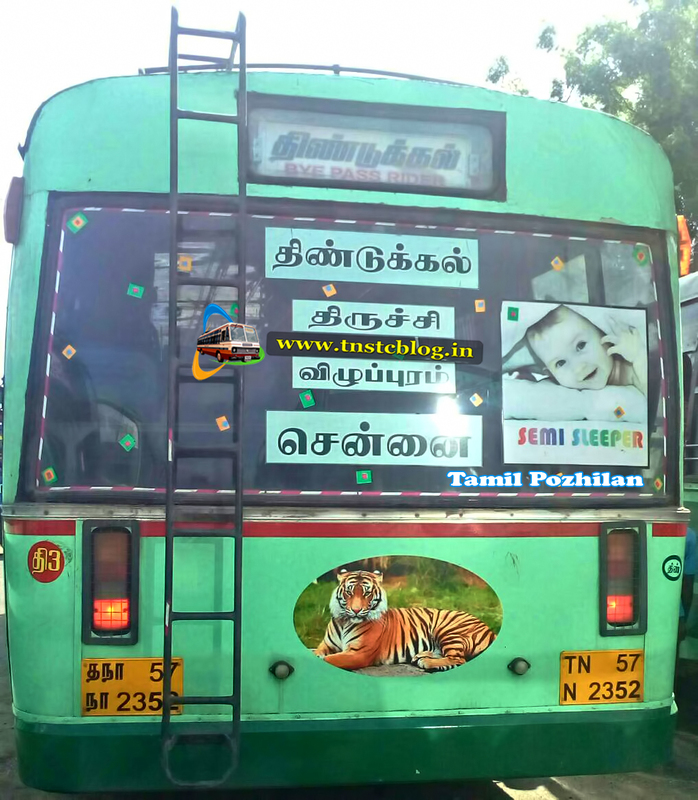 Recently from last inaugural TNSTC Dindigul started to operate a Super Deluxe from Palani and Dindigul to Chennai. Most of the days TNSTC Super Deluxe gets filled in Origin itself Here is the pic of TNSTC Dindigul Chennai Super Deluxe by Dindigul 3 Depot. Timings : Dindigul : 08:30 P.M. | Chennai : 04:30 A.M.
TN57 N 2352 of Dindigul 3 Depot Route Dindigul Chennai via Trichy, Perambalur, Villupuram.